Our exclusive apartment community offers an unprecedented level of style and sophistication in a selection of eight exceptional one, two and three bedroom floorplans, situated in an ideal Raleigh, NC location! 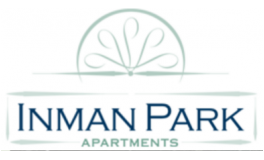 From the array of thoughtfully planned amenities, to our carefully designed and constructed apartment rental homes, Inman Park gives new meaning to luxury and privilege. Explore a lifestyle beyond excellence, indulge in the elegance of Inman Park. With a convenient location near North Carolina State University, Meredith College and St. Augustine's University, our community offers easy access to Highway 70 and I-40 for easy commutes to nearby Durham and Chapel Hill. When you're looking for some shopping and fine dining, our Raleigh apartments are less than five minutes away from the renowned Crabtree Valley Mall. Or you could spend an afternoon at the North Carolina Museum of Art which is just ten minutes south of our community. If you are searching for an apartment in Raleigh, NC or are simply relocating to Cary, then come to Inman Park. Complete with a resort-style pool, game room, cardio fitness and business centers, you will love spending time on the beautiful grounds of our pet-friendly apartments. Each luxury two-bedroom apartment features a full-size washer & dryer, crown molding, a garden tub and tiled entry, many with dens included. Our fantastic amenities like fireplaces, high nine-foot ceilings, and lovely bay windows set us apart. Schedule a visit today and allow our friendly and professional staff to show you the best apartments in Raleigh, NC. Pets under 35 lbs are welcome at Inman Park. Maximum of two pets per apartment. No aggressive breeds allowed. $350 pet fee required as well as $15 per pet per month.